If I don't respond within 2 hours then I had to leave for something else, k? 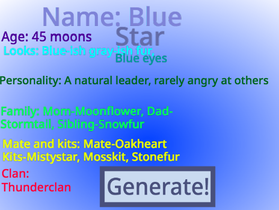 Warrior Cats Name & Bio Generator! Wow! I never expected this! Flames of the Clans . WARRIORS ROLEPLAY . If You Love Scratch Follow!